Those suffering from ‘seasonal affective disorder’ now have a solution in the form of Rio Low Energy SAD Light Therapy Lamp. 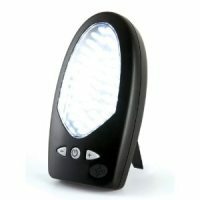 What is the RIO SAD Light Therapy Lamp? The Rio SAD light is designed to provide a relief option for those affected by this disorder. Seasonal affective disorder (SAD) is a disorder, which is often referred to as the ‘winter blues’. Natural light can become limited and begin having a dulling effect on those affected. The Rio SAD light alleviates this problem through restoration of natural light. When turned on, this lamp is equal to standing outside on a peaceful summer’s day.